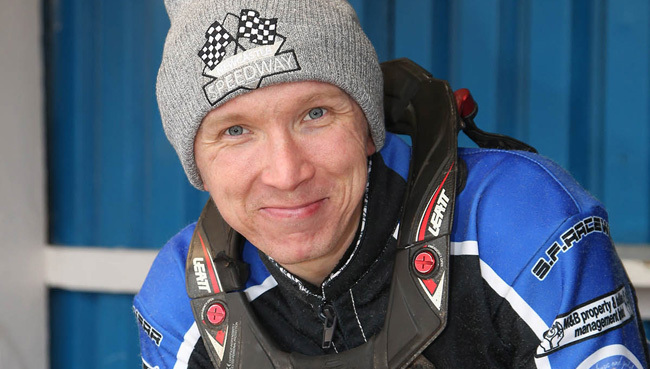 KING'S LYNN have booked flying Finnish ace Tero Aarnio to race at reserve in both legs of the Knockout Cup Final with Somerset this week. Aarnio steps in for the injured Michael Palm Toft as the Tru Plant Stars head to the Oaktree Arena on Wednesday with the return leg on home shale 24-hours later. Aarnio has plenty of experience in British racing and readily accepted the invite to help out Dale Allitt's men. Said Allitt: "Tero showed a great attitude when we asked him and we have every confidence he will give it his all in King's Lynn colours. "When you are booking a rider to cover for injuries you never quite know what response you'll get until they get out there on the bike but we're pretty confident with Tero." Lynn are looking to bounce back after going agonisingly close to league title glory against Poole in last week's Grand Final. "It's taken a few days to recover from the disappointment," said Allitt. "It was hard to take on a personal basis. "But this is a fresh opportunity and I'm sure there will be two great nights in prospect for the fans." IT’S the KO Cup final! The Tru Plant Stars go for glory against Somerset Rebels on Thursday night. As it’s school half-term, the Stars management have added a host of extra entertainment to the final night of the 2018 season. *Firework display by Whitelightning Pyrotechnics immediately after the racing. *Entry ticket pricing to remain the same £18 Adult. *Family Ticket just £36 for two adults and any number of children Under-16. *First 200 children through the gate receive a bumper goodie bag. *Limited edition programme for just £4. *Fanszone - Reaction bike - clothing, merchandise, DVD’s and memorabilia. *Fans will be invited on to the centre after the presentation ceremony to meet the Tru Plant Stars riders.